Welcome to Mrs. Kish's page! This page will be updated. Please register to receive my updates. Access codes will be given out in class. If for some reason you have trouble joining our class, please let me know. During the school year, click on the course on the left that you are taking to access class notes and policies. If you would like to use the online resources for various Pre-Algebra, Algebra 1, Algebra 2, and Geometry math books, please see the chart below. 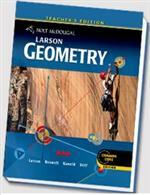 You can click on the picture of the textbook that you are using. Your teacher may assign you a specific username and password but if you are having trouble, you can try the usernames and passwords below. Not sure how to log into your Google account?